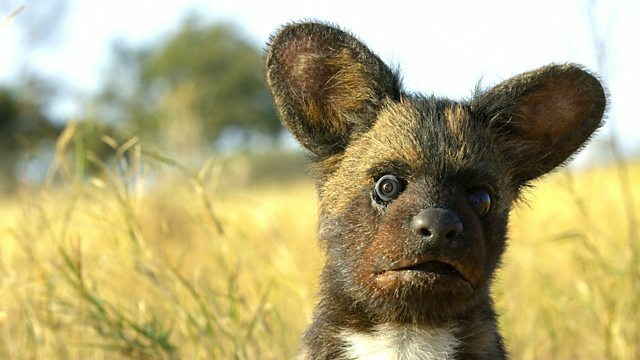 Documentary in which animatronic spy creatures infiltrate the animal world to explore their complex emotions. Baby Spy Crocs discover the extraordinary devotion of a mother crocodile and take a rollercoaster ride inside her mouth as she carries her babies to water. Spy Egret and Spy Tortoise are nearly trampled by elephants as they film a newborn baby sharing the love of his caring family. Spy Monkey meets a troop of over 120 unruly langurs and finds out how teenage monkeys comically practise babysitting skills. Spy Prairie Dog witnesses the most enthusiastic kissers in the animal world. Spy Chick discovers the extraordinary devotion of hornbills as a mother is imprisoned for the sake of her brood. In Antarctica, Spy Adelie Penguin becomes entangled in the penguins' turbulent love life as they fight to steal pebbles to impress a fussy female. On the savannah, giraffes are filmed for the first time paying homage to an old giraffe that recently passed away. Spy Bush Baby meets some curious chimpanzees, and Spy Tortoise is adopted by a five-year-old and is taken on a wild ride through the jungle canopy before coming down to earth with a bump. In a thought-provoking scene a chimpanzee shows empathy as he finds an abandoned wildcat kitten and adopts it as his pet. Looking for something to really get your teeth into? Begin the journey here.